Parreno in collaboration with Douglas Gordon, "Zidane: un portrait du XXIème siècle", 2006. 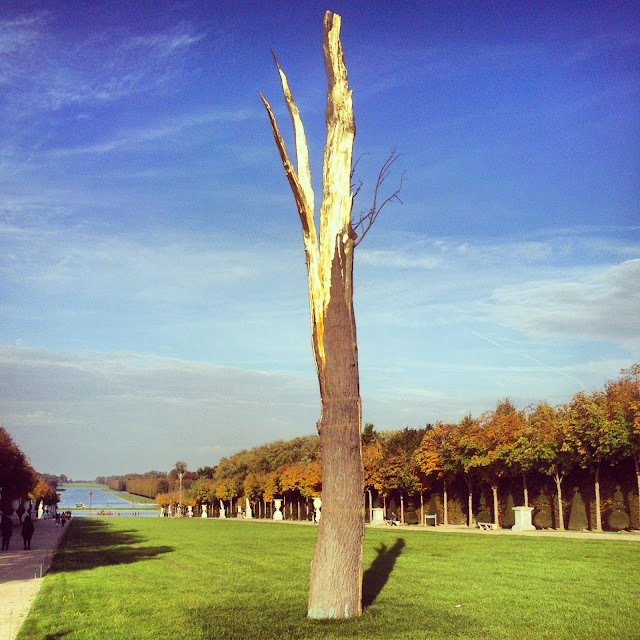 Tuesday 22 October: The following day we visited the Château de Versailles (no introduction needed), whose vast gardens hosted works by arte povera éminence grise Giuseppe Penone, including tree-and-rock sculptures such as that recently seen at Kassel's Karlsauer Park during the past Documenta 13. The works where supported by the Fondation d’entreprise Hermès. On our way back to Paris, we stopped at Calmart to visit Nicolas Boulard's solo exhibition "The rule of cool" at the Centre d'art Albert Chanot (until 22 December). 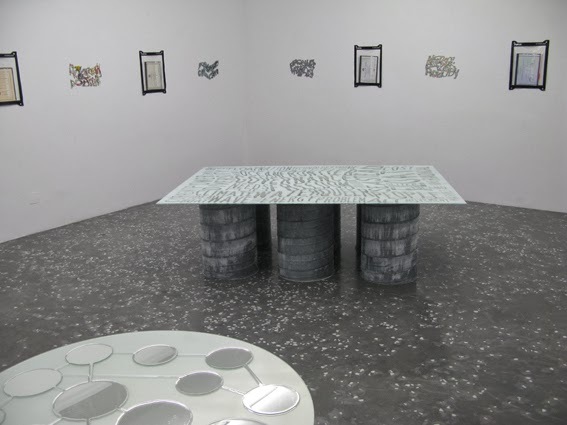 View of Nicolas Boulard's "Aéroplane" (2013) and on the right fifteen "Agroglyphes" (2011-12), drawings of crop designs applied in different geographies. 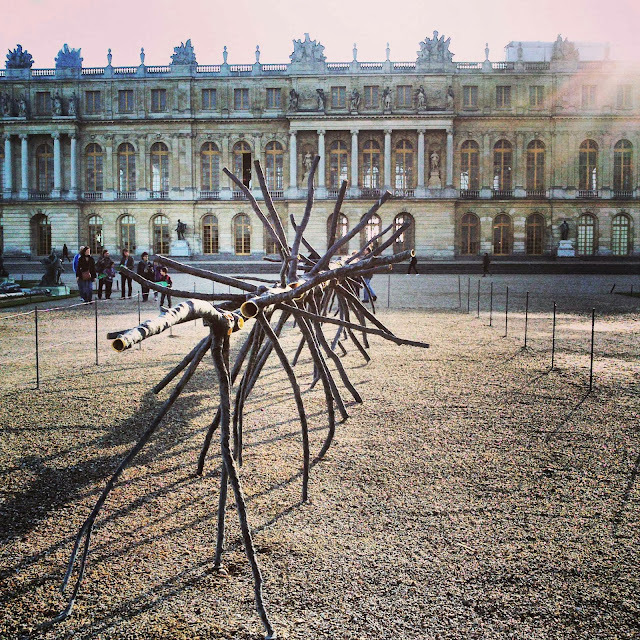 In the afternoon we strolled around the Berges de Seine (checking out the installations along the left bank of the Seine) and the Jardin des Tuileries, sites of FIAC's 'Hors les Murs' programme with interventions and sculptures by artists including Societé Réaliste (pictured below their "UN Camouflage" (2013)). Visit to the Jardin des plantes followed by a reception at the Grande Galerie de l'Évolution. Victor Costales and Julia Rometti installation "Roca | Azul | Jacinto | Marino | Errante" (2013) (photographed below) was one of the many works displayed around the Jardin. Last year the piece was part of the artists stand which won the illy SustainArt Prize during ARCOmadrid 2012. 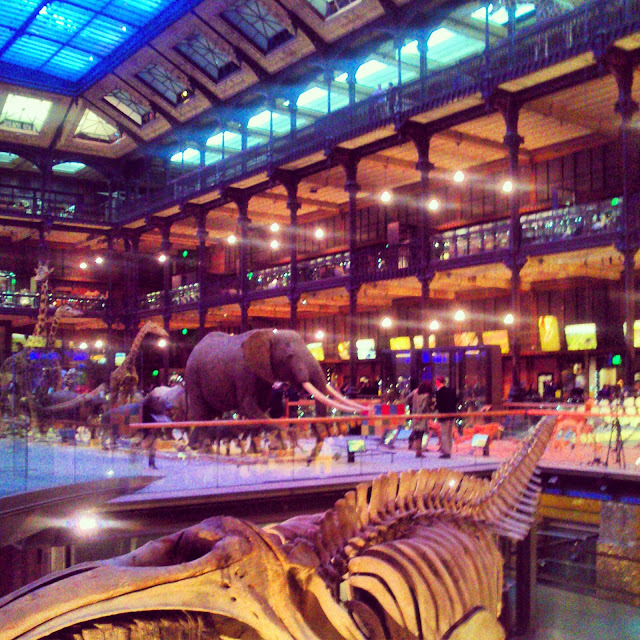 Before the reception at the splendorous Grande Galerie de l'Évolution (below), we watched the new film "Apotomé" by Jennifer Allora & Guillermo Calzadilla at the auditorium, which takes as its starting point the attempt of a man to communicate with two fossil elephants that arrived at the Museum in March 1798. 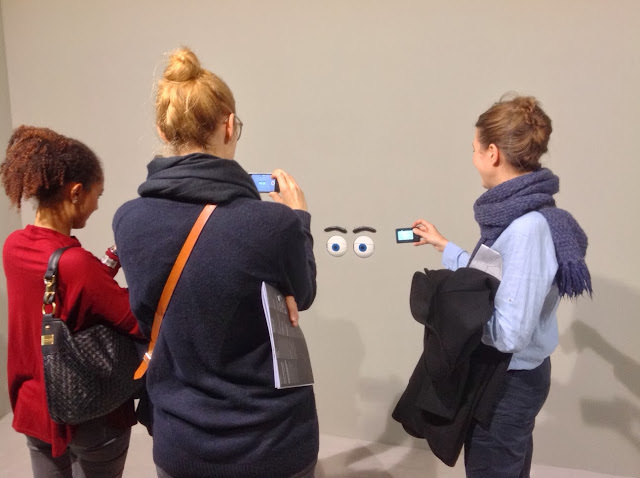 Wednesday 23 October: Closed-door session "Curatorial research, criticism and publishing practices in the French art scene" at the Auditorium du Grand Palais, FIAC. 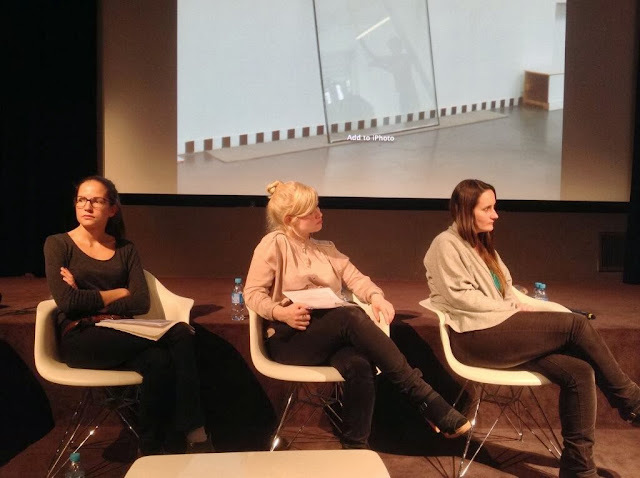 Photographed below (left to right): Ida Soulard (Art Historian and Research Director of Fieldwork: Marfa); Emilie Villez (Director of Kadist Foundation, Paris) and Marie Cozette (Director of the Synagogue de Delme). Other speakers were Pierre Bal-Blanc (Director of CAC Brétigny); Elisabeth Lebovici (Art Critic and Senior Lecturer at EHESS) and Benjamin Thorel (Art Critic, curator at castillo/corrales, and editor of Paraguay Press). The panel was moderated by curator and writer, Vincent Normand. As time was limited we decide to concentrate and peruse the upper floor of FIAC, stopping at the stands of Galerie Jan Mot (Brussels), gb Agency (Paris), Monitor (Rome), ProjecteSD (Barcelona), Jocelyn Wolff (Paris), Vitamin Creative Space (Guanghzou), LABOR (Mexico City), Ellen de Bruijne Projects (Amsterdam), Meessen de Clercq (Brussels), castillo/corrales (Paris), Parra & Romero (Madrid), RODEO (Istanbul and winner of the Lafayette Prize), Juliette Jongma (Amsterdam), Bugada & Cargnel (Paris), Galerie Jousse Enterprise (Paris) and Motive Gallery (Amsterdam), (participating in their last fair, as they will soon wrap up their gallery programme and transition into an institute). 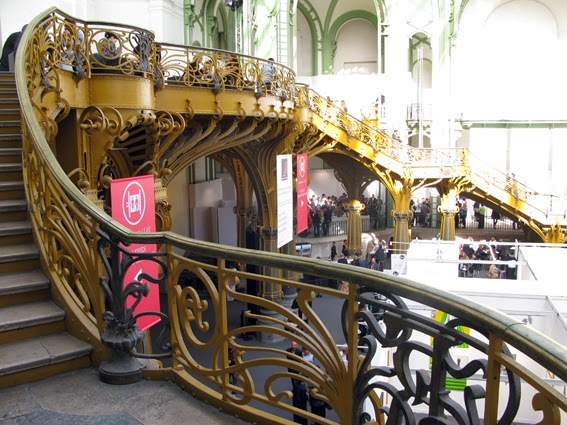 Towards the first floor level of FIAC, the Salon d’Honneur. Guillaume Leblon, Asier Mendizabal and Iñaki Bonillas on the photo. ProjecteSD, Barcelona. Koki Tanaka at Vitamin Creative Space, Guanghzou. Hans Schabus at Jocelyn Wolff, Paris, where he also had a solo show we later visited. Francesco Arena performance at Monitor, Rome. Christodoulous Panayiotou shoes made of leather bags given by his friends at the stand of RODEO, Istanbul. Wonderful set of prints by Terence Gower of Sert's US Embassy in Bagdad at LABOR from Mexico City. Adrien Missika at the stand of parisian Bugada & Cargnel. More works by Costales and Rometti, here at Jousse Enterprise. 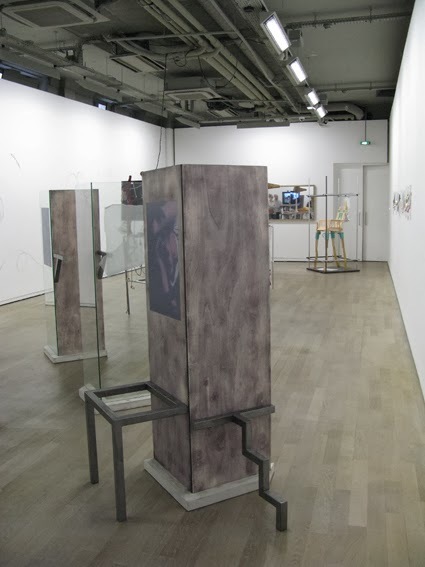 hunt kastner exhibited a solo presentation of Eva Kotatkova, following her much-discussed work in the current Venice Biennale. Early afternoon visit to Kadist Foundation and tour of the exhibition "Room by us" by the artist Nicolás Paris (on view until 8 December). 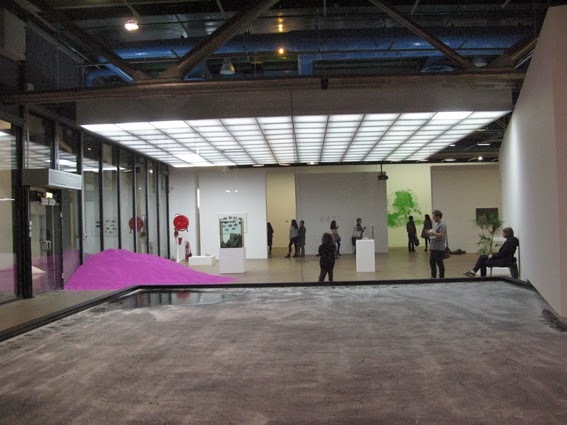 We ended the day visiting Pierre Huyghe's exhibition at Centre Pompidou and the 2012 Prix Marcel Duchamp at the Espace 315. 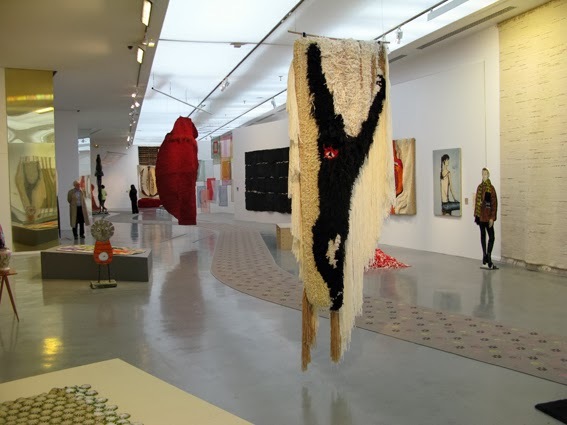 The latter featured a large tapestry of merino wool, a painting on silk and a bodybuilder sculpture made of oak by Daniel Dewar and Grégory Gicquel (both on view until 6 January 2014). Huyghe's retrospective exhibition presented fifty works that span over the last twenty years of production. As stated in the exhibition leaflet "The exhibition emphasizes the living and organic dimension of his propositions, which envisage the space as a world in intself, unplanned, living according to its own rhythms: it is not so much the points but rather the flow, the interplay and the intensities arising between the elements that he reveals. Moreover, the exhibition highlights the filiations between the works, sometimes separated by as much as a decade: adolescents wearing the heads of animals for La Toison d'Or (1993) in a park in Dijon hence relate to the protagonists of the procession in Streamside Day (2003) or even to Human, the dog with the pink leg [see Documenta 13 photodocumentation]. Rooted in the walls and remnatns of previous exhibitions, particularly the preceding one of Mike Kelley, the show opens towards the exterior in an outgrowth, where certain organic and climatic works can exist." Untitled (Liegender Frauenakt), 2012. 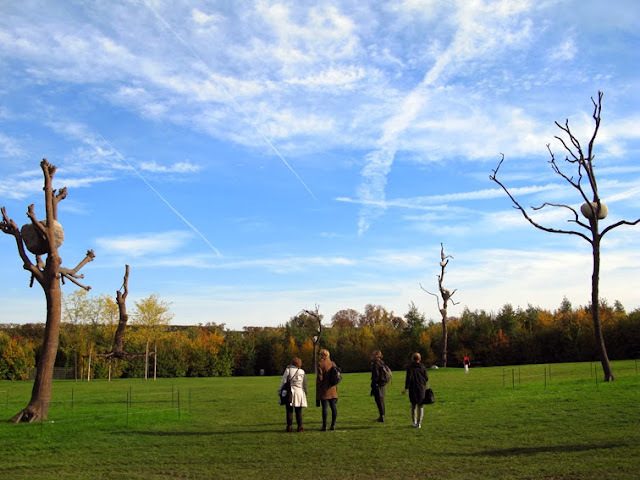 Presented in the recent Documenta 13 last year – see photodocumentation. 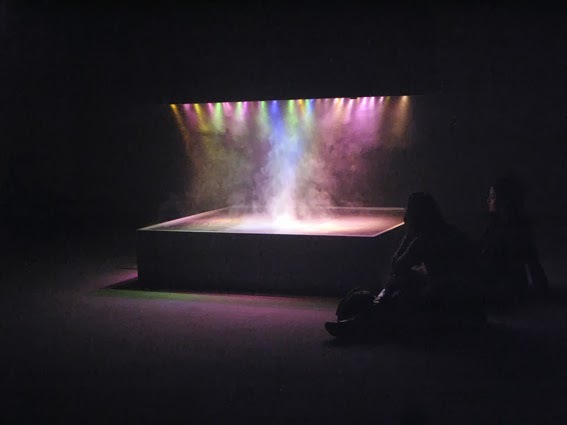 Part of the installation in three acts "L'Expedition Scintillante", 2002. Here: "De Hory Modigliani" (2007) "The Host and the Cloud" (video, 2010) & "RSI, un bout de réel" (2006). 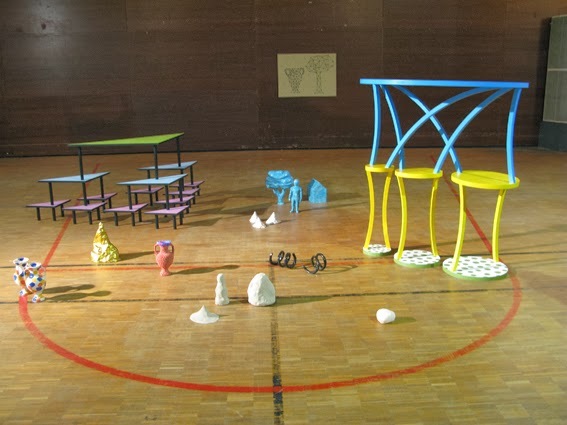 Thursday 24 October: Fondation Ricard exhibition "La vie matérielle" curated by Yann Chateigné, Chair of the Department of Visual Arts at the Haute école d’art et de design in Geneva. The show presents works by Stéphane Barbier-Bouvet, Jonathan Binet, Alex Cecchetti, Caroline Mesquita, Chloé Quenum, Lili Reynaud Dewar, Alexandre Singh, Benjamin Valenza (see more photos here), and was organised on the occasion of the 15th Prix Fondation d'entreprise Ricard, an award that consist in the purchase of a work from the winner, which is then donated to the Centre Pompidou and presented in the permanent collections of the institution. The 2013 awardee was Lili Reynaud Dewar. 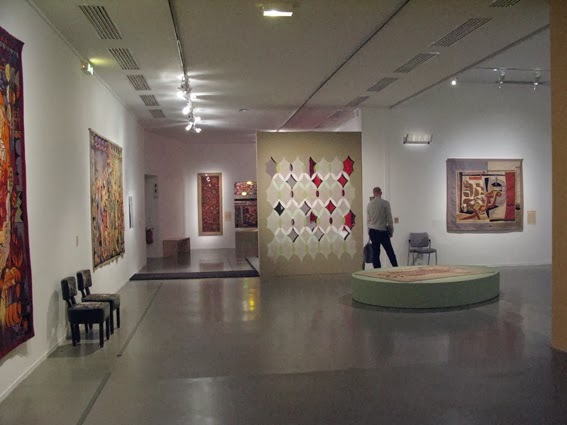 During our free time, we set off to the Musée d'art Moderne de la Ville de Paris (MAM) to visit the group show "Decorum. 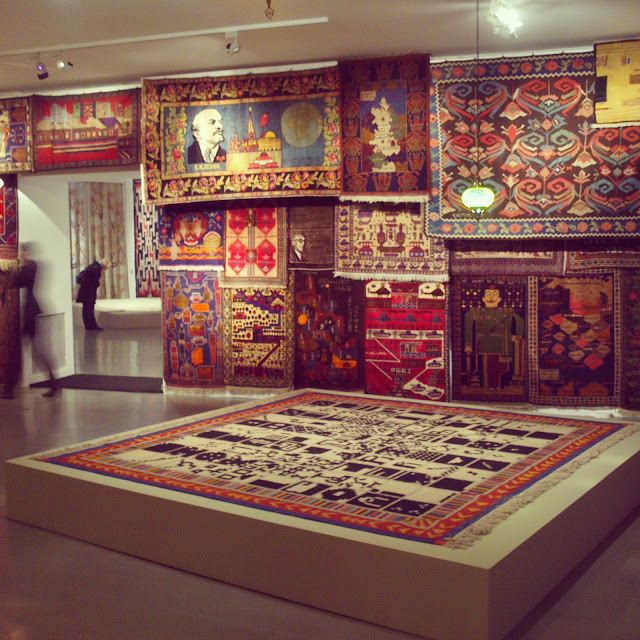 Carpets and tapestries by artists" (on view until 9 February 2014). London-based artist Marc Camille Chaimowicz directed the exhibition scenography together with architect Christine Ilex Beinemeier, and Jean-Philippe Antoine, professor of Aesthetics, selected a playlist of 65 songs (including pieces by John Cage, Béla Bartók, Michael Nyman, David Crosby or Brian Eno) which accompanies the visitor to the exhibition [it can also be listened to here and on the website of the exhibition]. The sprawling exhibition, laid out under five loose thematic sections ("Painterly", "Decorative", "Orientalisms", "Primitivisms" and the "Sculptural") presented over a hundred pieces by modernist artists (Fernand Léger, Pablo Picasso, Joan Miró, Sophie Taeuber-Arp, Alexander Calder, Anni Albers) alongside contemporary artists (including Isabel Cornaro, Leonor Antunes, Albert Oehlen, Mai-Thu Perret, Vincent Vulsma), and started off with two large installations, by Franz West ("Auditorium", 1982), made up of sofas covered with oriental carpets on which the public is invited to sit, and a large weaving loom by Michael Beutler which reflects on mass production and collaborative work. Watch a short video documentary here (in French). 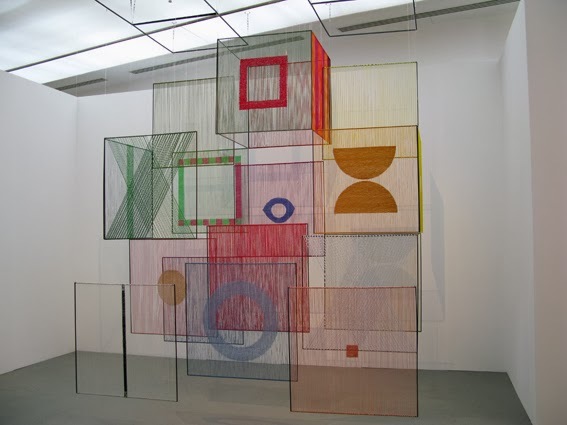 (Above) Work by Elsi Giauque's "Élément Spatial" (1979). 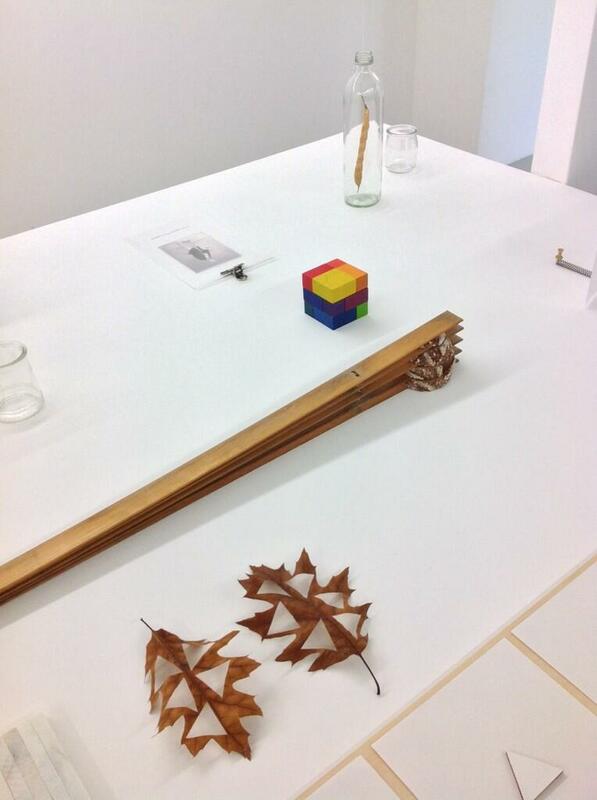 Colection of MUDAC, Lausanne. 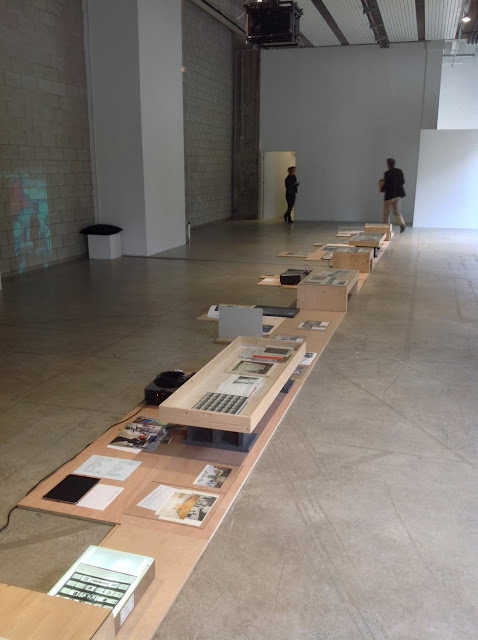 We also visited Bétonsalon, centre d'art et de recherche which hosted the publication-as-exhibition "They remember only the photographs". 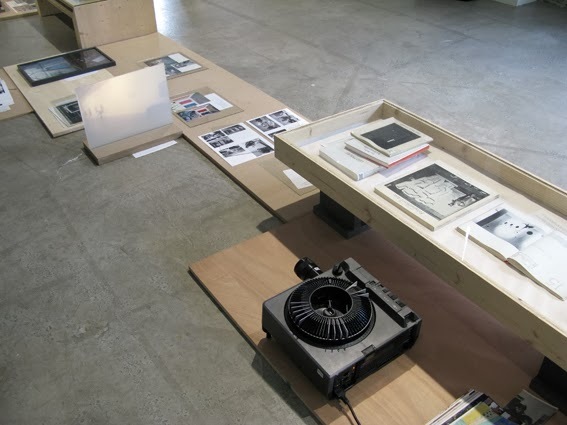 It focused on the research undertaken at the Bibliothèque Kandinsky (Centre Pompidou MNAM-CCI) by the research group "Modern and contemporary art photographed" of the Ecole du Louvre and the University Paris Diderot - Paris 7, represented by five students from the association Politik’art. 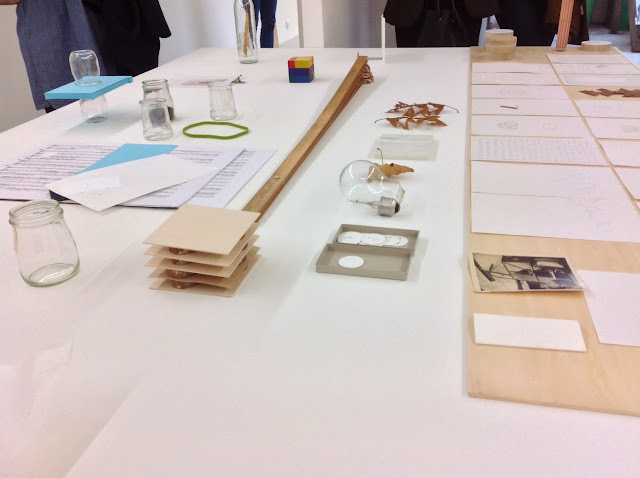 It represented the research undertaken at the by ten students from the Ecole du Louvre Masters degree. More photos here. 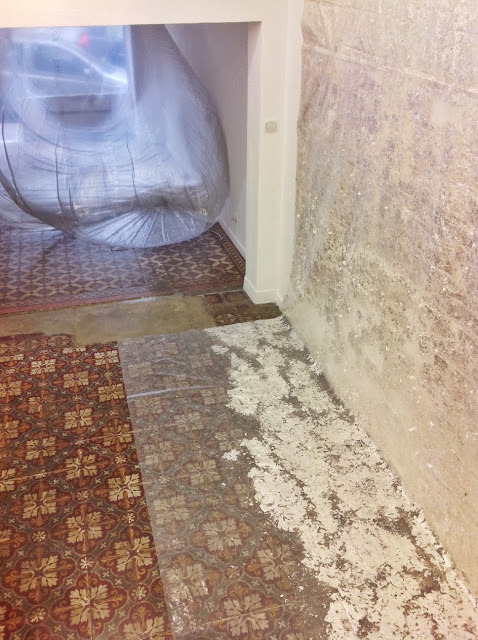 Reconnecting with our programmed schedule we visited the Cité internationale des arts and made studio visits with artists Benoit Pype, Stéphanie Lagarde and Pieter Van der Schaaf. With over 300 individual studios and living spaces facilities in Marais and Montmatre, the Cité internationale des arts has, since 1965, provided short or long stays (2 months to 1 year) for over 18,000 professional artists who want to develop an artistic work in France. 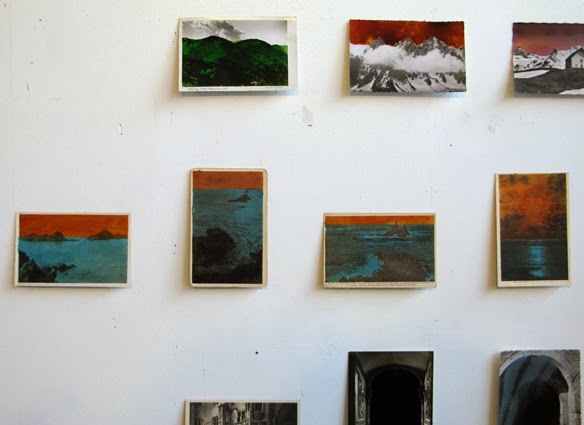 Pieter Van der Schaaf's Untitled (postcards), 2013. 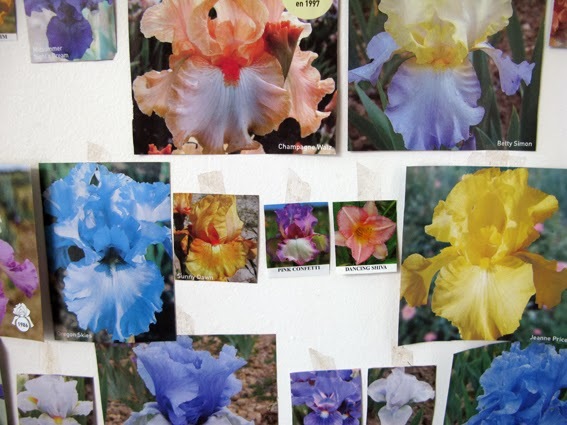 Lagarde is researching the peculiar names of the different varieties of iris (Pink Confetti, Midsummer Night's Dream, Oregon Skies, Dancing Shiva...) in order to compose a series of poems and at a later stage, to plant them following the order of her poem. To end the day, we had a meeting with artist Farah Atassi (shortlisted for the 2013 Marcel Duchamp prize) at Galerie Xippas. 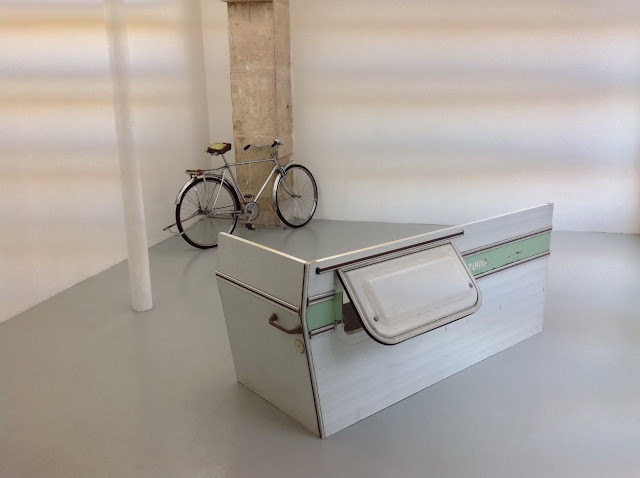 The winner, announced on Saturday 26th, was Latifa Echakhch (born in 1974, represented by kamel mennour, Paris). Other shortlisted artists were Claire Fontaine (collective founded in Paris in 2004 represented by Chantal Crousel and Air de Paris) and Raphaël Zarka (born in 1977, represented by Michel Rein, Paris). We later had an impromptu meeting with artists Bevis Martin and Charlie Youle, who exhibited at the temporary space Galerie Samy Abraham's had at the Espace des Blancs Manteaux during FIAC. 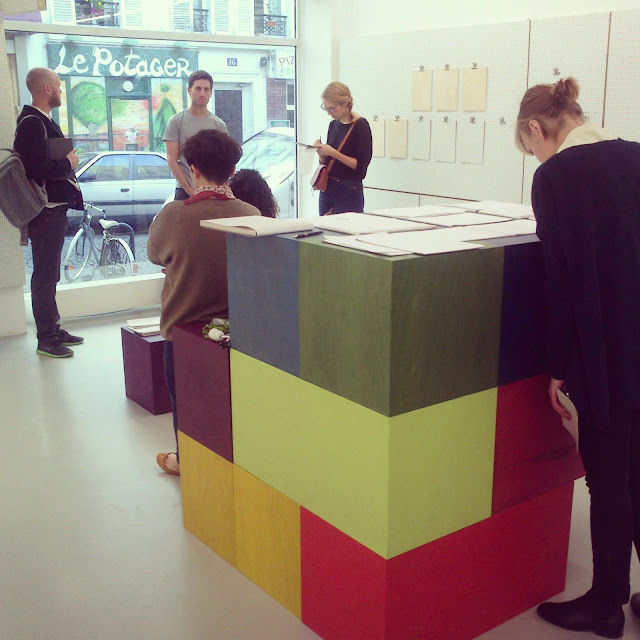 The day ended with several openings around Marais: gb agency with Omer Fast; Galerie Chantal Croussel with Abraham Cruzvillegas; Galerie Jousse Enterprise with Superflex; Campoli Presti with Liz Deschenes, Yvon Lambert with David Claerbout, New Gallery with Daniel Keller; TORRI with a group show with works by Braco Dimitrijevic, Hamish Fulton, Ai Wei Wei and Zhao Zhao... comme ci, comme ça. 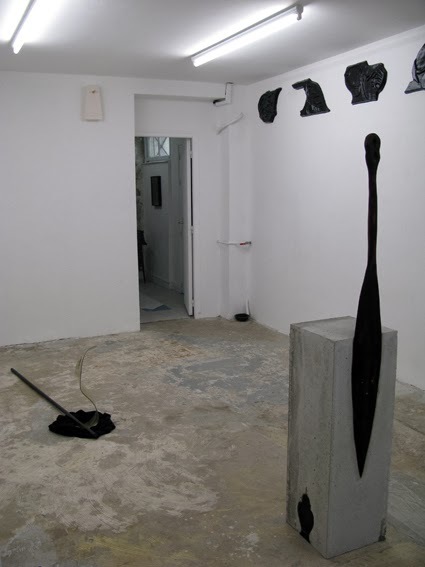 Galerie Chantal Croussel with Abraham Cruzvillegas. Daniel Keller's "Lazy Ocean Drift" at New Gallery. 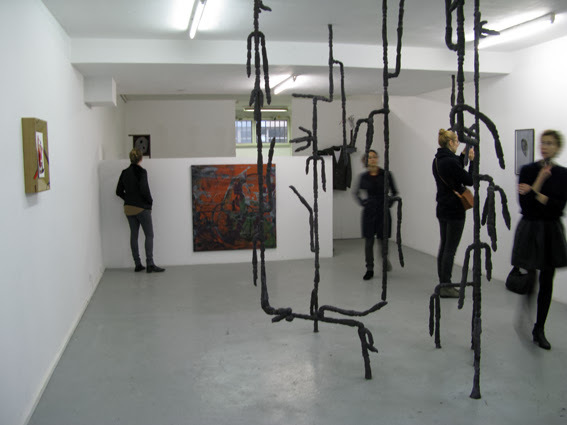 Friday 25 October: Visit to the artist-run-space Treize and tour of Belleville galleries: Samy Abraham; Balice Hertling; Antoine Levi; Marcelle Alix; Crèvecoeur; Jocelyn Wolff and castillo/corrales. 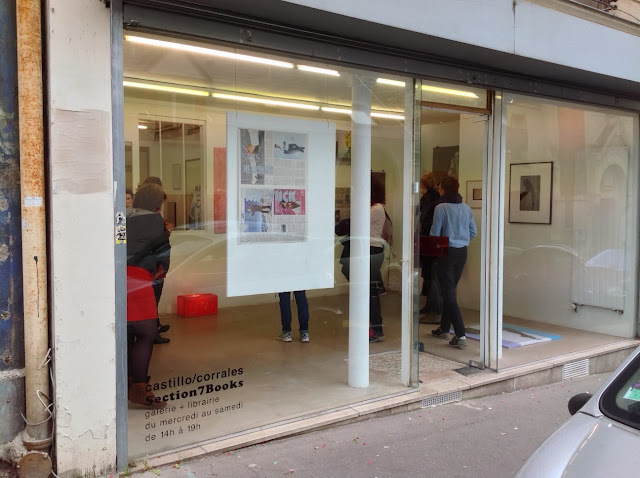 The artist-run-space Treize hosted the show "Pavillon Moret" with works by Sophie Lamm, Sarah Tritz, Lucille Uhlrich and Marion Verboom. 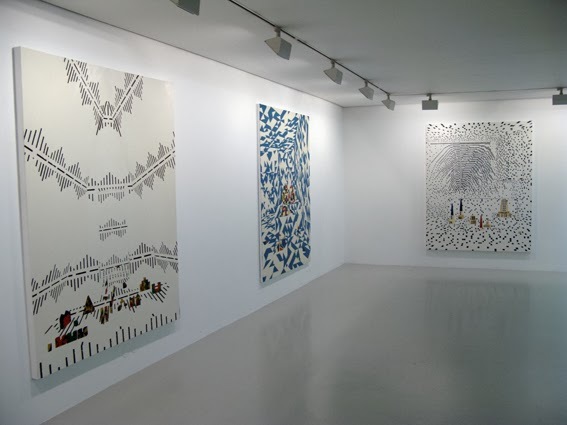 Antoine Levi hosted the solo show "Problems of Style" by Sean Townley. 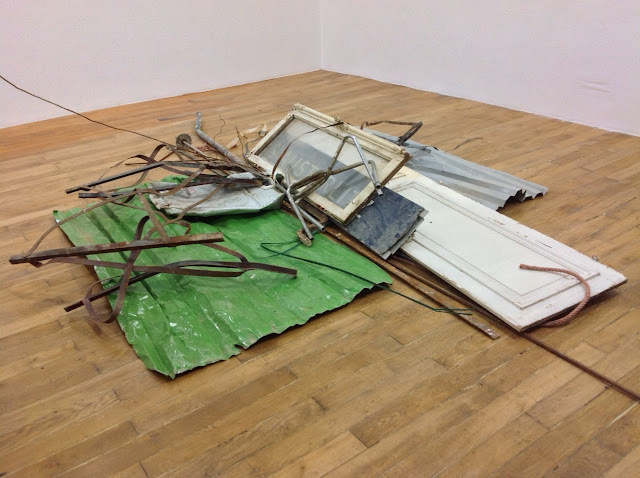 Jocelyn Wolff presented a solo show of Austrian artist Hans Schabus. Marcelle Alix presented a solo show of English artist Ian Kiaer. 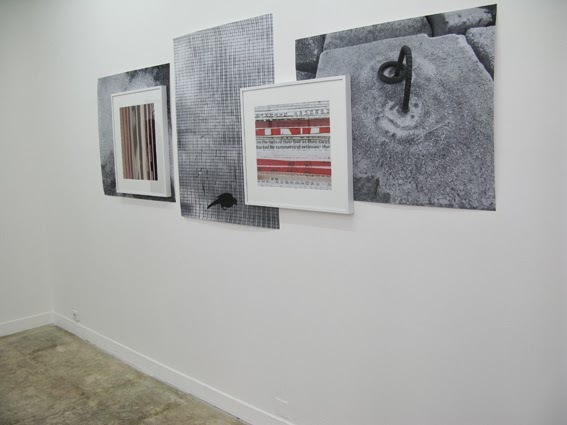 Crèvecoeur hosted the solo show "The Public Imagination" Erica Baum. Visiting castillo/corrales space which hosted 26 works generously donated by a bunch of artists soon after auctioned as part of their annual benefit event. 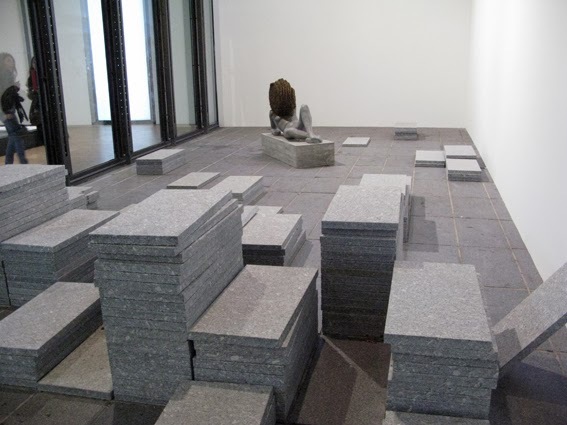 Le Plateau/FRAC Île-de-France with the solo show "Make Every Show Like it's your Last" by British artist Ryan Gander. We finished our day with a guided tour of the exhibition Europunk at Cité de la musique by its curator David Sanson, and a visit to the recently opened Chalet Society (a new association founded in 2012 by former Palais de Tokyo director, Marc-Olivier Wahler), which hosted "The Hidden World. 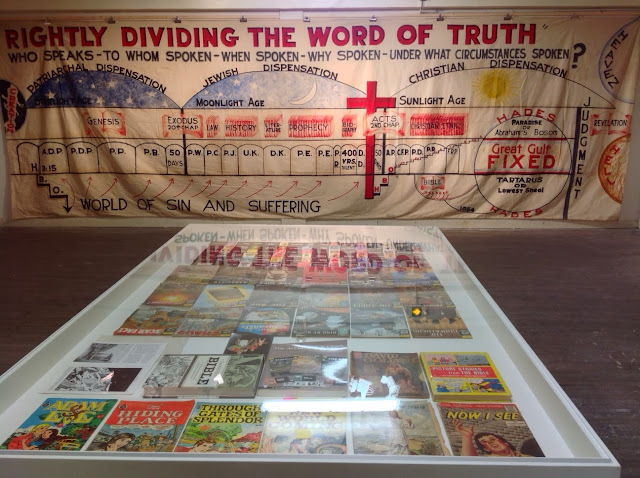 Jim Shaw / A Didactic Collection" (until 29 December). The show included astonishing materials from the artist collection which accounts as his source of inspiration: "secret societies, far-fetched orders and fraternities, evangelical and fundamentalist movements, New Age spiritualists, Scientologists, Mormons, Freemasons, ultraconservatives and all kinds of conspirators, encyclopaedias for children and even Dr. Netter’s famous medical illustrations". 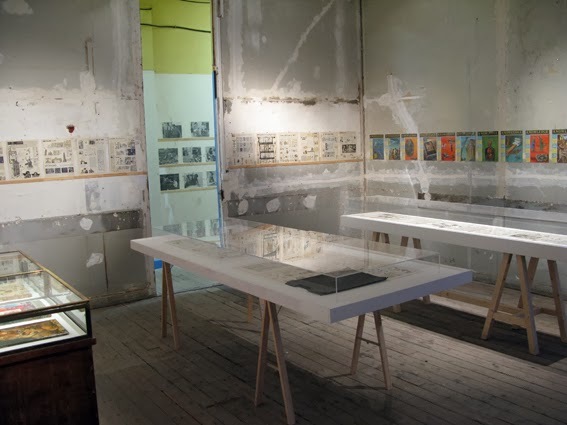 Occuping 1,000m2 on 14 boulevard Raspail, this former school also hosts a "conceptual crêperie" and a shop with books selected by the califormnian artist. 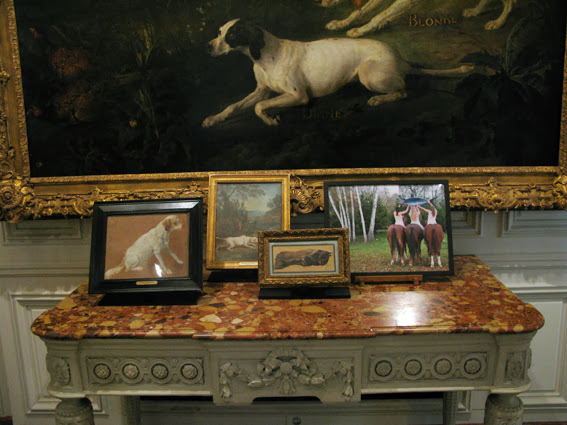 During the weekend we had time to visit a museum that came highly recommended by those that knew our taste for obscure collections and wunderkammer exhibits, the Musée de la Chasse et de la Nature (picture below). 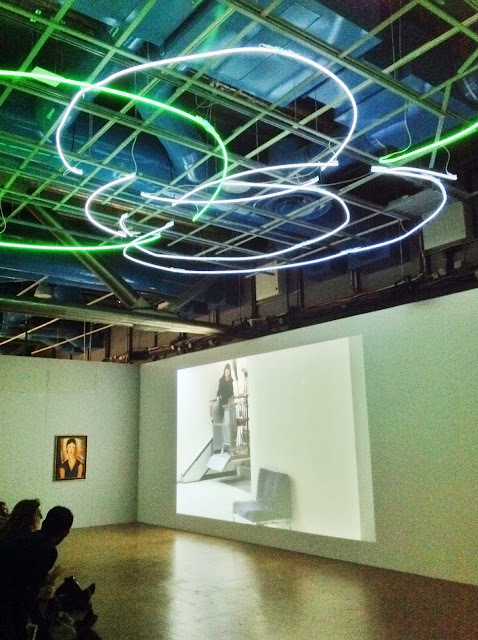 We also returned to the Centre Pompidou to pay a visit to their 'Plural Modernities 1905–1970' exhibition. This re-reading of the collection showcased a series of interrelated micro-exhibitions and is well worth a visit. Rarely seen works populated the fourth floor galleries in an effort to present to what until recently were considered 'minor' modernities. There was a special focus on the Maghreb, Latin America and Asia, the latter represented by a selection of works by Asian artists living in Paris at the height of Impressionism, whose work followed the same aesthetic principles. There were some delightful inclusions such as the wealth of art journal covers that filled the walls as wallpaper, allowing the visitor to cross-relate the graphics and texts to the paintings and sculptures produced concurrently. Gallery guide here.